Why we sacked 280 workers — MTN Nigeria – Royal Times of Nigeria. The management of mobile telecoms firm, MTN Nigeria, on Tuesday gave reasons why it sacked 280 of its employees on Friday. In a major shake-up, the South African telecoms giant served letters dispensing with the services of about 15.6 per cent of its entire 1,800 Nigerian workforce. The South African telecoms giant served letters dispensing with the services of about 15.6 per cent of its entire 1,800 Nigerian workforce. Those affected included some 200 permanent employees and about 80 contract staff across various cadres of its operations, including graduates and senior managers in all departments of the organization. Majority of those affected had put in more than 15 years, having joined MTN since it commenced business in Nigeria in 2001. But MTN spokesperson, Funso Aina, said the disengagement of the workers was part of an ongoing business transformation drive towards sustained growth, to facilitate the firm’s continued role as a partner for progress and socio-economic development in Nigeria. “MTN is a diverse community of committed change agents, brought together in pursuit of a common goal – driving growth and transformation by sharing our technology. Our people are our greatest asset, each individual’s knowledge, experience and ideas contributes to our continued growth and improvement. As such, ensuring a healthy and highly motivated workforce is a priority for us,” Mr. Aina said. He said it was with the above in mind that the company decided to implement a Voluntary Severance Scheme, VSS, designed to balance individual employee needs with business exigencies of the company. The scheme, he explained, was based on feedback from employees, following consultation with elected employee representatives. Besides, he said the scheme provided a financial incentive and opportunity for employees, who had worked with MTN Nigeria for over five years, to pursue other career interests and personal ambitions full-time, while increasing opportunities for professionals with a fresh perspective to join. 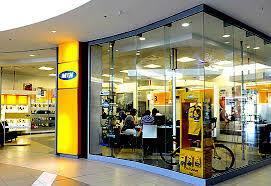 Although about 200 permanent staff of the company voluntarily took up the VSS offered by MTN management, to enable them move on to face other challenges, the services of about 80 others, made up of those casual and contract workers, were dispensed of by management. Mr. Aina said both categories of the affected workers, who received their letters last Friday, were given the same severance package in accordance with the number of years of service. ‘The successful conclusion of the VSS exercise last week makes it possible for MTN to tailor the competence and experience base of its workforce to meet technology shifts and future business needs,” he said. While restating its commitment to Nigeria, Mr. Aina said MTN would continue to execute its strategy of attracting, developing and retaining the best Nigerian talents.